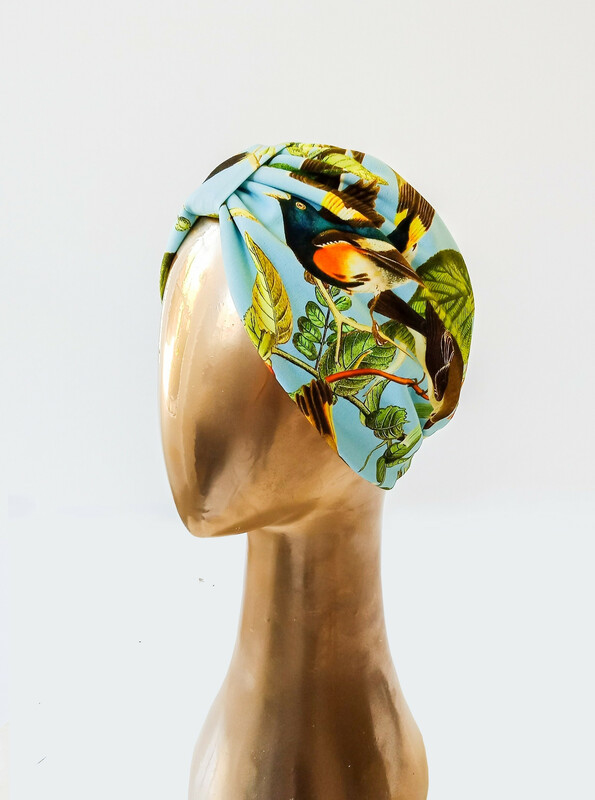 This gorgeous turban has been made to match the Song Bird story in our main range frock collection. 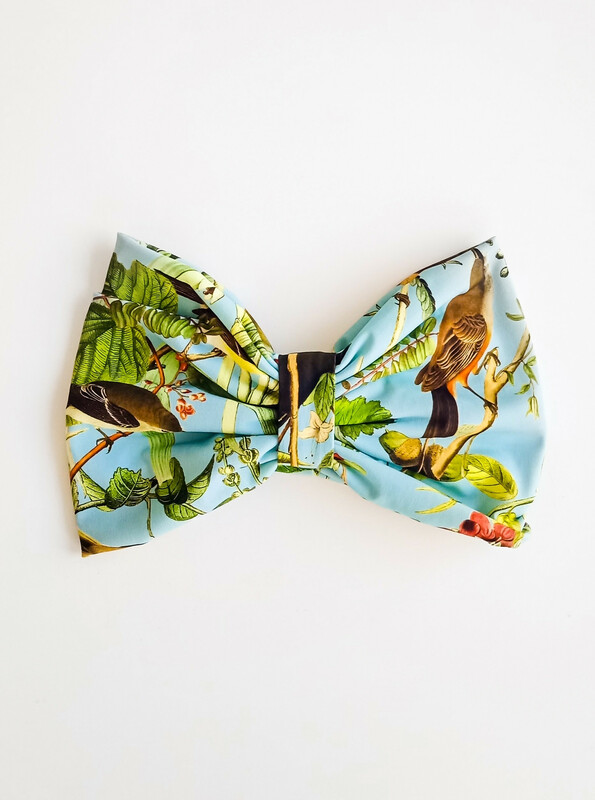 This is a brilliant accessory to match your frock or to wear with another outfit. Be effortlessly chic wherever you are from the beach, to work and even to the races!